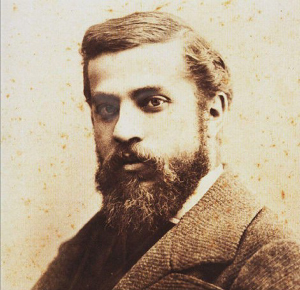 Antoni Gaudí (1852-1926) was one of the first and greatest architects working at the dawn of the modern age and his eccentrically organic buildings remain a powerful influence on many contemporary designers and artists. His work was enigmatically described by Salvador Dalí as having a ‘terrible and comestible beauty’ and is as much a part of the history of surrealism as it is of Barcelona ‘Modernismo’. The hardware range available through izé was designed for two of his most radical structures, the Casa Batlló and Casa Milà (both begun in 1905) and perfectly encapsulates Gaudí’s strange organic vision.